Many people put lemon in cold water simply to enhance its taste, without realizing that so many benefits are related with it. In fact, drinking cold lemon water is so beneficial that everyone should try it. You will notice that lemon water helps quench thirst better than all other drinks. Moreover, you will reap several health benefits that come from the minerals, vitamins, and trace elements found in lemons. 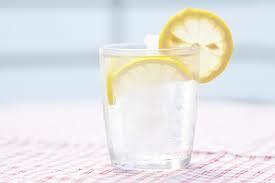 Drinking plain water is definitely good as it contains no calories, but adding lemon in water offers several other benefits without adding too many calories. You only get 7 calories from an ounce of lemon juice mixed in a cup of cold water. Therefore, cold lemon water is actually a much better alternative to lemonade which has 99 calories a cup. Some of the most impressive cold lemon water benefits come from its vitamin C content. Your body needs vitamin C to make collagen, which keeps your skin soft and healthy, and protects your skin from sunlight. Moreover, vitamin C works as an antioxidant and eliminates free radicals from your body. This in turn prevents oxidative damage to cells and provides you with healthier skin. Your body also relies on vitamin C to help metabolize cholesterol and absorb non-heme iron to prevent iron deficiency. You get about 11.8 mg of vitamin C from an ounce of lemon juice mixed in a cup of cold water. This provides you with 16% of your recommended daily intake of vitamin C.
The atomic structure of lemon juice is quite similar to the digestive juices in your stomach. This stimulates your liver to produce bile, which helps to keep food moving through your gastrointestinal tract more smoothly. Cold lemon water also encourages your body to process food slowly, which keeps your insulin levels stable. This also helps with better nutrient absorption. Moreover, it stimulates your liver and boosts the enzyme functions to help flush out toxins more effectively. Sipping on lemon water often is one simple way to lose some extra pounds. This is mainly because lemons contain a type of fiber called pectin. It helps keep you full longer and ensure you do not have to deal with hunger pangs. This also prevents overeating, which again helps achieve your weight loss goals. Instead of relying on your morning cup of coffee, go for a glass of lemon water to boost energy without having to experience any side effects of caffeine. Lemons contain negative-charged ions that enter your digestive tract and boost your energy. Moreover, just the scent of a lemon has the power to lift your mood and reduce your stress levels. One of many cold lemon water benefits is that you can reduce your body's overall acidity by drinking lemon water daily. Lemon is an alkaline food, and it can work to reduce acidity in your body. The overall pH balance can contribute to a healthier body. Not only can you treat kidney stones with lemon water, you can also lower your risk of developing this condition by including lemon water in your diet. Kidney stones are made of calcium oxalate and can be treated with a compound called citrate. By increasing the levels of citrate in your urine, you can lower your chance of developing kidney stones. Lemon water proves beneficial because it has high amounts of citrate. For anyone under 150 pounds of body weight and having good overall health: Take 8-12 oz. of filtered water and squeeze only half a lemon in it. Drink it on empty stomach in the morning. For anyone over 150 pounds: Take the same amount of water and lemon but drink twice a day. Alternatively, you could add 2 oz. of lemon juice into 24-32 oz. of water, and drink throughout the morning for the best results. Note: Keep in mind that lemon water is beneficial but drinking too much too quickly can cause several problems, such as bowel changes, headaches, and fatigue. Moreover, it is important to avoid drinking ice-cold lemon water because it can affect digestion. While cold lemon water benefits are quite impressive, you should practice some care in certain situations. You should avoid drinking lemon water if you have lemon allergies. People with ulcers should also consult with their doctor before including lemon water in their diet. Consider drinking lemon water with a straw to avoid damaging teeth enamel. Moreover, you should swish your mouth with normal water after you drink lemon water. While lemon water is beneficial, do not give it to children under the age of 12. If your child has good health, he/she does not need lemon water. You could add 1/8 to 1/4 teaspoon of lemon juice to 8-12 oz. of water and give it to your child once a day if he/she has issues with constipation. Do not add sugar.